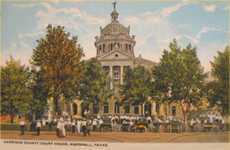 Harrison County Courthouse Marshall Texas. 1839, 1848, 1889, 1900 and 1964. 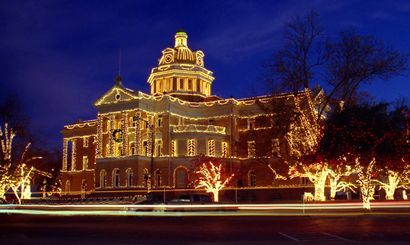 Marshall has long been famous for the elaborate holiday lighting of their courthouse. 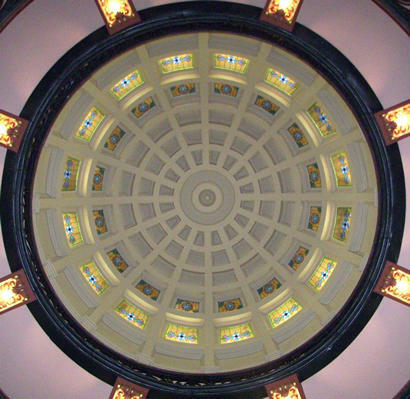 Strictly speaking, the building is technically the former courthouse. It is now the Harrison County Historical Museum. 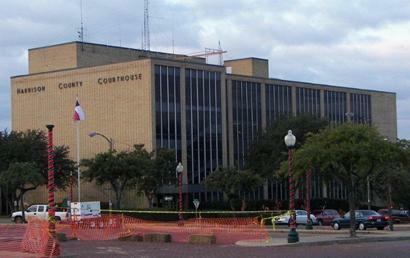 The current courthouse is a modern 1964 design and is located somewhere else. The 1964 Harrison County courthouse is a modern structure of glass and brick and was designed by the architectural firm of Turnbull, Inc. 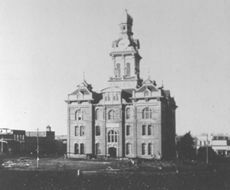 Built 1900. Cost $62,000. Third on this site. (Little Virginia, 1851; brick Gothic, 1889, burned in 1899.) This one of granite, brick and marble. 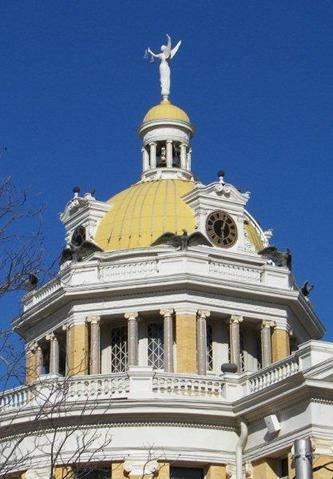 Capitol-styled, classic Roman architecture, with a dome clock and belfry surmounted by a symbolic figure of justice. 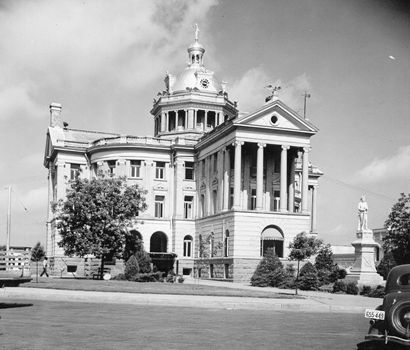 In 1964 became site of Harrison County Museum, in space allotment after new Courthouse was opened on Whetstone Square. 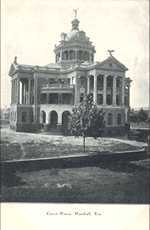 Recorded Texas Historic Landmark - 1965. 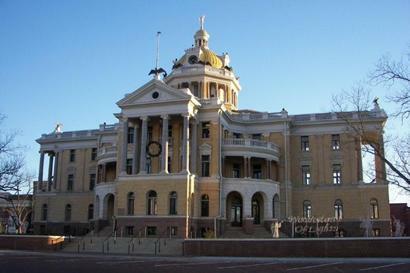 This building is sometimes compared with Gordon's 1901 McLennan County Courthouse in Waco, Texas. A Christmas Treat. Stops includes Marshall, Jefferson and Kilgore in East Texas and Natchitoches and Shreveport in Louisiana.